BMW and Mercedes fans have something new to add to their shopping lists: Cadillac. The small Cadillac ATS already goes toe-to-toe, very credibly, with both the BMW 3-series and Mercedes C-class. 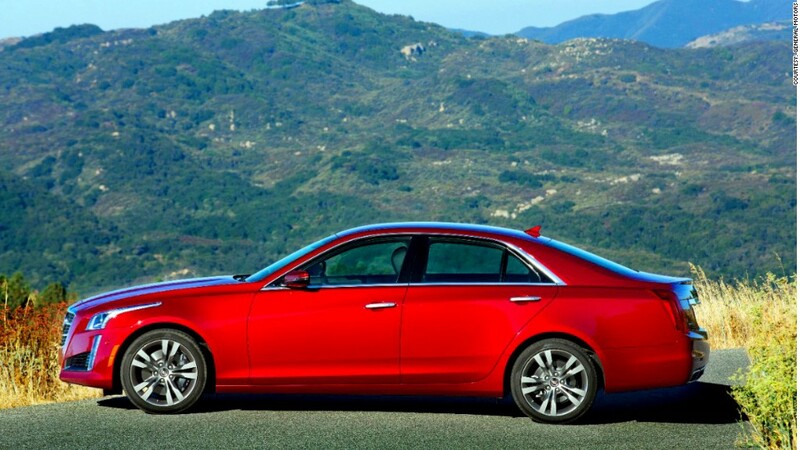 Now, a bigger, more expensive CTS directly targets the 5-series and E-class. I admit, I was worried about this newest Cadillac. When General Motors (GM) unveiled the new Cadillac CTS at the New York Auto Show last April, it seemed like everyone loved its design. Except me. I missed the sharp angles from the previous version. The new CTS was bigger and roomier, yes, but I thought it lacked the "Look at me, I've got money" swagger that's always been a Cadillac thing. I also loved driving the old CTS. It really was one of my favorite cars. OK, so the back seats were bit snug. The bigger CTS obviously solves that problem but, amazingly, it's actually lighter than the old version. It's lost none of the old CTS' sharp driving feel or supple ride quality. In fact, those aspects are even better. Plus it's available with a new, more powerful, engine. This is a very serious contender.